built-in booking system, private messagging and many more gorgeous features! No paid extentions and no coding knowledge required. Build a professional directory & classifieds website like TripAdvisor, Yelp, Airbnb, Booking.com, Tripping, FlipKey, HomeAway or similar in minutes! What is coming in updates? [NEW] Free OpenStreetMap support for maps and location autocomplete – no need to use paid Google API anymore! 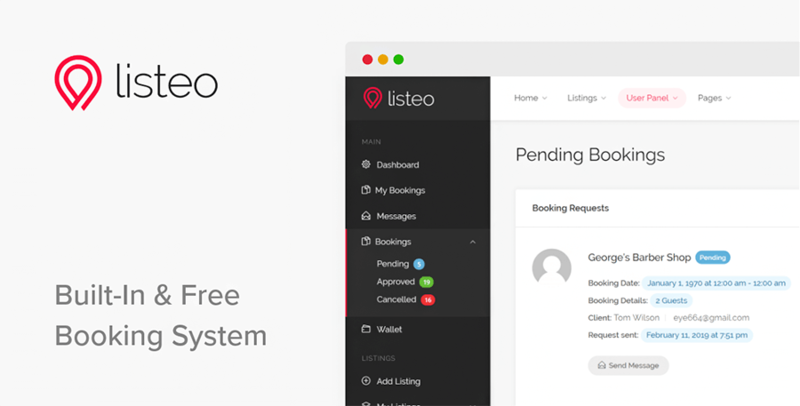 Listeo features user friendly front-end dashboard where listings, bookings, packages, profile details and private messages can be easily managed. Users can choose check in & out date, guests amount and send a request to the host to book a reservation. Once the host accepts request user can be charged for the entire amount at reserved time. Host can manage calendar availability and set different prices for specific days. 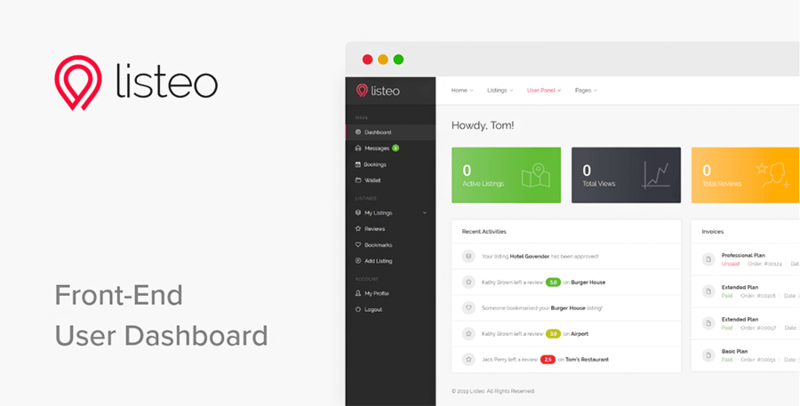 Through Listeo users can reserve spots at e.g. restaurants, car washes, barbers etc. They can choose date and time slot or specific hour if time slots are non set by host. They can be also charged for reservation. Online ticketing system for any type of venue or event. Users can add event listings on your website while also sell tickets for those events. Making money from your website isn’t a myth anymore and it’s doable by everyone. 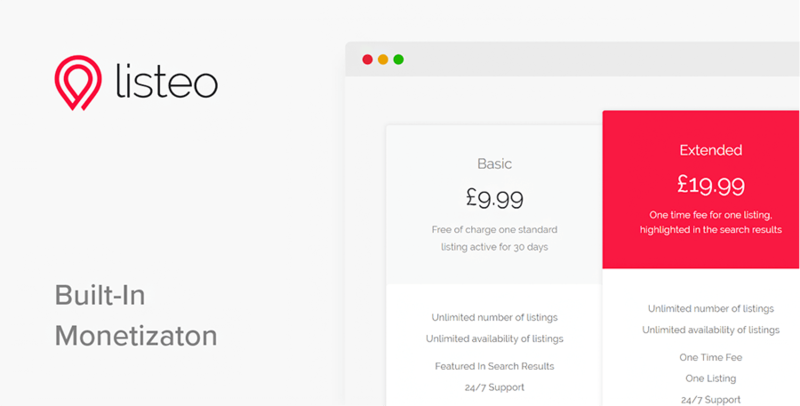 With Listeo you can charge your customers per listing submission, offer packages or monthly subscribtion – the choice is yours. That’s not all! You can charge fees on every booking service! If the owner of a listing with an apartment booking service set a fixed price of $50 for each day and you set 10% fee for booking service you will get $5 and pay rest ($45) to the vendor. Vendors will get an additional “Wallet” page in the dashboard where they can check summary of an earnings from bookings, payouts history and set payout method. Google Maps API pricing got you down? You can use alternatives like OpenStreetMap, MapBox, Bing Maps, Thunderforest or HERE maps. What’s more Listeo supprorts also location autocomplete feature powered by OpenStreetMap which means that you don’t need to use Google API even for this. It’s exclusive to Listeo – not found in other themes! We took care to develop it with best UX/UI practices and it works as good as Google’s autocomplete. 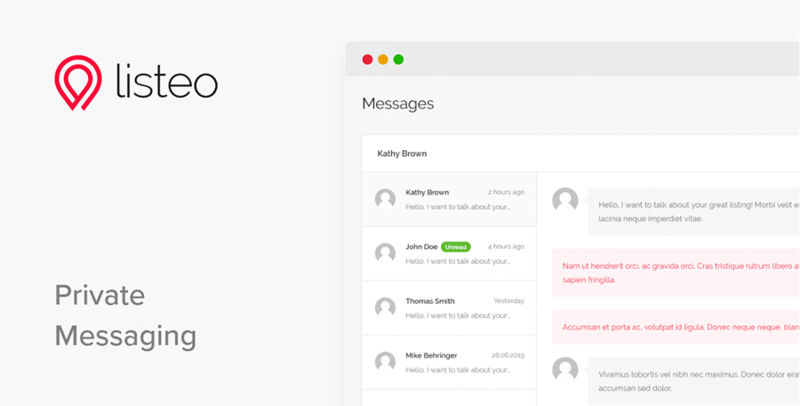 Listeo comes with smart private messaging system wherein users and listing owners can contact each other. Users can add reviews to determine the quality of goods and services from local shops. All reviews can be managed or edited. In addition owners are able to reply to reviews added by visitors. You can set-up automatic email notifications about bookings, payments, listing expiration and others. Content of messages can be easily changed in options! Demo content installation never been easier. 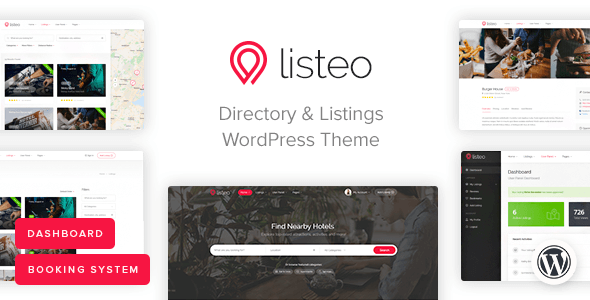 You can install Listeo with just a few clicks! Photos from demo site are NOT included in template package.